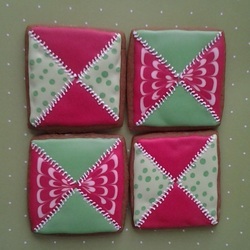 Unlike cookies that are mass produced, every JenniBakes cookie is custom made just 4U! I can put your logo on a cookie, or design a cookie to fit your business or special occasion. I bake in my inspected kitchen in small batches, just for your order. I bake locally, and make sure your order gets to you fast, so it stays fresh. Superior taste comes from using the freshest ingredients, so your treats are extra yummy.